We all know that Toornament can handle official esports events with millions of dollars on the line, pitting international players in months-long leagues for world recognition and fame. But the platform is also fitting to welcome you and your friends or family for a good competitive time, given it is entirely free! Whether you have a friendly FIFA League going every week, or just decide to get Super Smash Bros Ultimate out at a family reunion, know that Toornament is here to help you smooth things up and quickly create a tournament ! “I always have my Nintendo Switch with me, and suggested a few games after the Christmas meal. Everyone got excited, and i set it up in the living room, with 1-2 Switch running. What started as a quick and fun family activity soon became an epic tournament in which all 25 members of the family wanted to compete. Ages ranged from 6 to 50 years old, and even though the tournament went on for more than 2 hours, everyone stayed focused and motivated, with kids asking for results every few minutes, and showing off their wins to their cousins or parents. 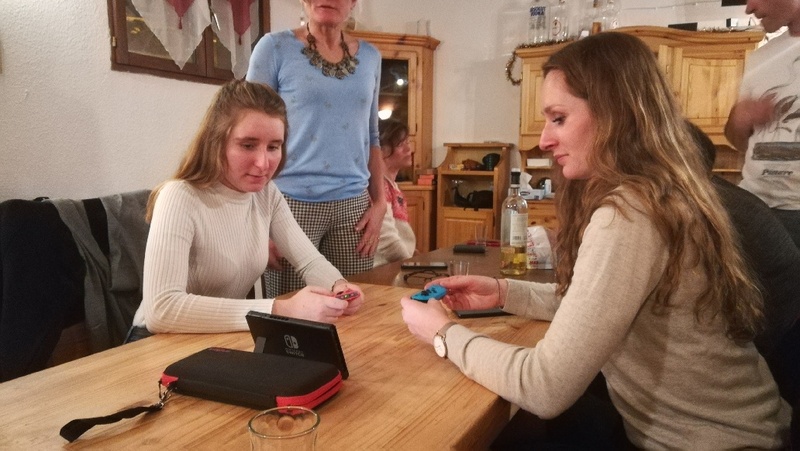 I shared the link to the tournament via our family group chat, so everyone could see and follow the matches, and set up a tablet with the Toornament TV by the Nintendo Switch. And now that the results have achieved posterity, no doubt Daphne will brag about this tournament in future family reunions! We are glad to have been a part of Gregoire’s family Christmas holidays, and wish you all great friendly tournaments! Next Next post: Case Study: French League of Legends official league powered by Toornament!